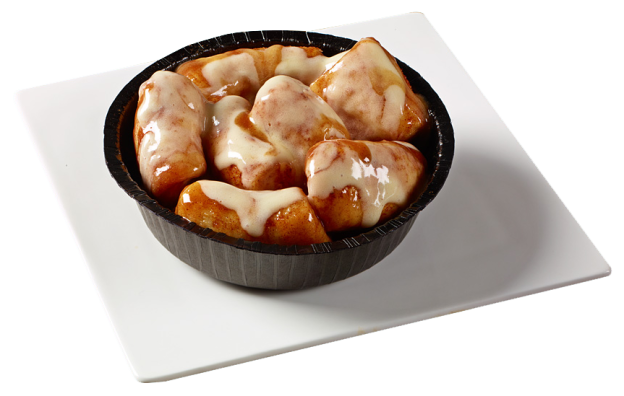 Exotic Cinnamon Dough Bites | Better Bakery Co.
Cinnabon® and the Cinnabon logo are trademarks of Cinnabon, Inc.
Cinnabon’s lushious gooey cinnamon slurry is added. Each bite is then covered with creamy frosting. Our Gooey Bites are baked in the same cup that it is served in. So none of the gooey goodness is lost. Gooey Bites are the best part of the Cinnamon Roll.. the Gooey Inside part.